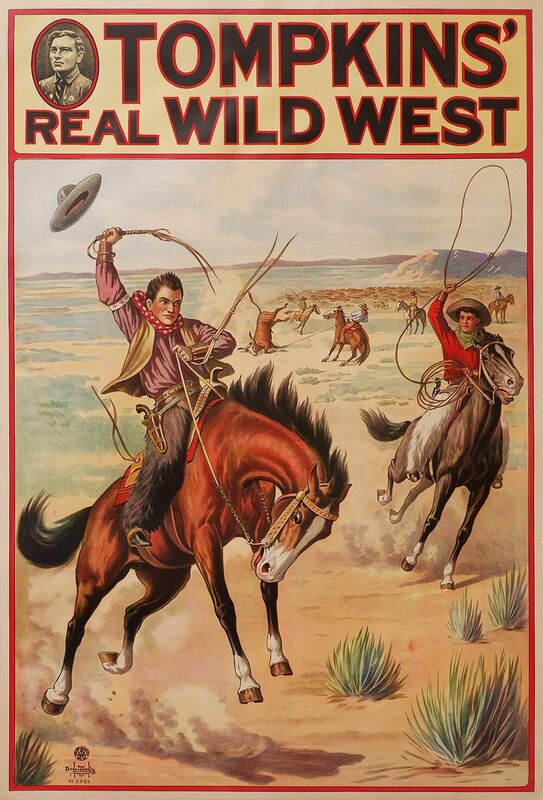 Tompkin’s Real Wild West show was a top notch traveling western show that was working from 1913 to 1917. The coming of the first world war put an end to this short lived road show but these magnificent posters will be cherished. In A condition. ( scarce! ) Printed by Donaldson Litho.